Chia Seeds – Running Benefits – A running clinic for everyday endurance athletes who are looking for training, nutrition, and maintenance plans that work with their busy schedule. 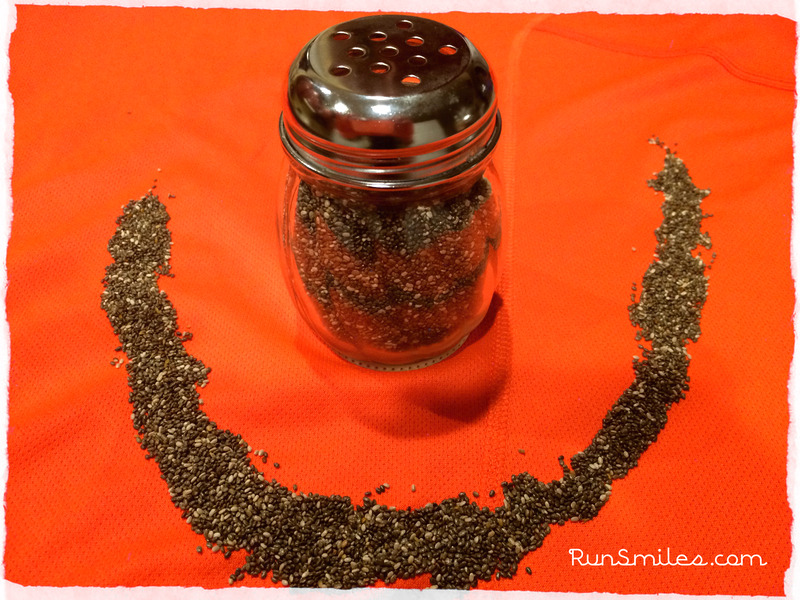 Chia seeds are a great addition to any runner’s diet, no matter the age. They provide you with more energy, sharper focus with high levels of omega 3 and 6, increased nerve and muscle reaction, is an anti-inflammatory, and they increase hydration. You can use them wet or dry. Our family has found a convenient way to spread chia seeds on just about anything. We’re using a dried chili pepper shaker which has holes big enough to allow the seeds to spread evenly. We tried a black pepper dispenser but the seeds were a little too big. Using a spoon from the sack to the food always ends up with a few dropped seeds on the counter and floor. By having the seeds in the dried chili pepper shaker we can keep it out on the counter which encourages us to use it more often. The seeds have a very mild taste which allows you to use them on anything. 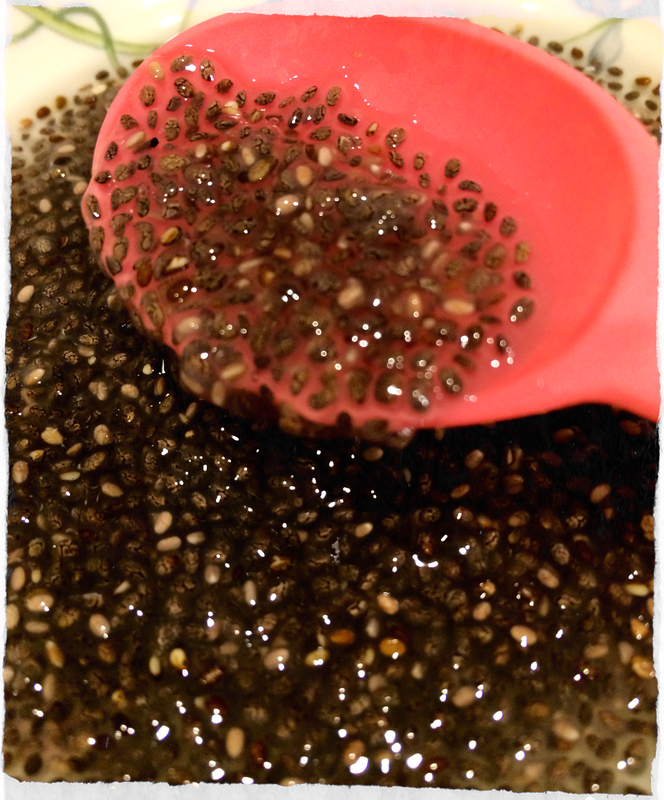 We love to use the chia gel as a fat/binding agent substitute in recipes. To make the gel you simply add the seeds to water. The suggested amount in the article below to make chia gel is 9 parts water to 1 part chia seeds. You then use that gel as the fat substitute. The amount you use as a substitute is up to your family’s taste preference. We usually substitute 1/3 or 1/2 the fat (butter or oil) in our recipes. We’ve found that the colder the liquid the longer it takes the seeds to gel. On average you are looking at 15 minutes. As for drinks, we like the seeds in an electrolyte or vitamin drink more than plain water. When you have a bunch of seeds in water it can taste a little like cardboard. Interesting information. I want to know more about this.